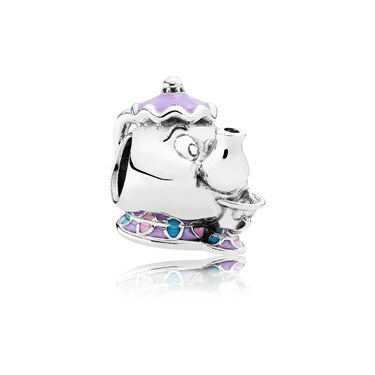 This delightful sterling silver charm represents two of the most unforgettable characters from Beauty & The Beast - the enchanted teapot Mrs. Potts and her teacup son Chip. A wonderful representation of maternal bonds, this charm will add heart-warming whimsy and magic to every bracelet. I am aware a large image has to be created on the web so you can see the item, however, when it arrived I needed a magnifying glass to see the detail and exactly what it was! Not the usual Pandora standard and unsure if I would recommend. However, if you are a fan of Beauty and the Beast you will probably buy just get ready for your friends asking you what it is! 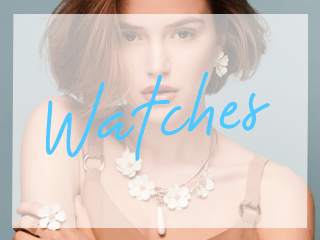 ARGENTO RESPONDS: Hello Anne and thank you for your feedback, which is very much appreciated. 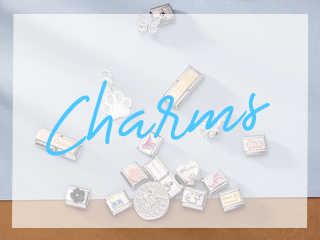 The images are supplied to us by the brands themselves, so we are sorry to hear that you weren't happy when you received your charm. It has been our most popular seller since the Disney range was launched and we have had no complaints since it was launched. 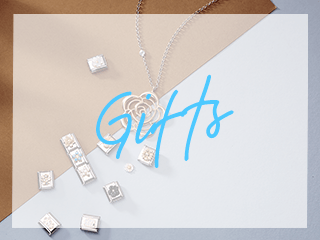 However, at Argento, we appreciate that tastes differ and our customers may not think something suits once they receive their order, so for that reason, we offer a no hassle return policy if you wish to return the charm. For more information on this, please copy & paste the blow link into your browser. Brilliant product bought for our Granddaughter to add to her charm bracelet. Other Disney characters to add at later date to.